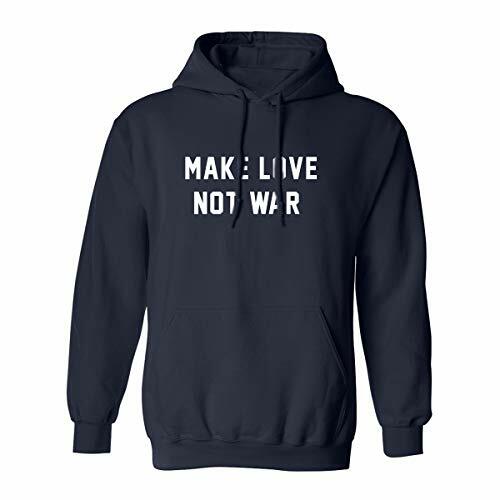 This sporty hoodie features "MAKE LOVE NOT WAR" on the front on an Adult Hooded Sweatshirt. 50/50 Poly/Cotton Hooded Sweatshirt. Double-lined hood and drawstring. Double-stitched pouch pocket. Set-in sleeves, 1x1 athletic rib with Lycra.